If you don’t live in Key West, you may not be familiar with it’s (humorous) history. It all began in 1982. The US border patrol created a roadblock between the Keys and the rest of Florida. This frustrated Key West residents – upon trying to enter the rest of Florida, they were treated as though they were entering from a foreign country, having to go through the routine border patrol checks. US Border Patrol claimed that this was a preventative measure, ensuring that they would stop “illegal” immigrants from entering. Every car that was leaving The Keys was checked. Residents of The Keys found it humorous that border patrol was checking in unlikely places, such as the glove compartments and under seats (talk about the world’s tiniest illegal immigrants). What they didn’t find very funny was that tourism had plummeted. These new road blocks were also blocking people’s desire to hop down to The Keys for the weekend. Community leaders attempted to take legal action against the US Border Patrol, with no avail. The court ruled against The Keys. Mayor Dennis Wardlow left the courthouse that day, announcing to the press that the Florida Keys will secede from the Union the following day at noon. But he didn’t stop there. He also “declared war” on the US – (the war consisted of breaking a piece of stale Cuban bread over the head of a man dressed as a U.S. Navy officer.) The one minute of rebellion ended with the Mayor surrendering to the Union forces at the Navy Base, then demanding one billion dollars in foreign aid to rebuild the nation after the “long Federal siege.” They turned a situation endangering their economy into one that would spotlight them on a world stage. The humorous approach not only helped boost tourism, but also solved the original problem – the US Border Patrol removed the roadblock. 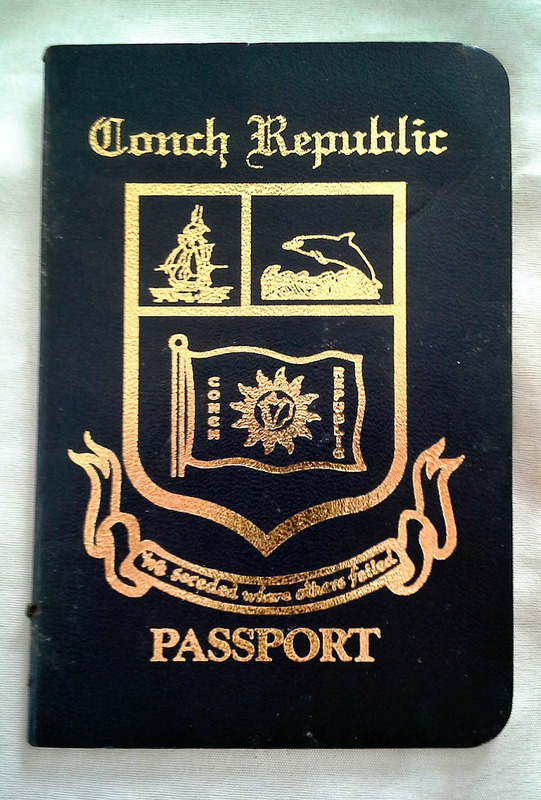 However, The Conch Republic still continues to issue it’s own passports with the motto “We Seceded Where Others Failed”, and continue to celebrate our independence every year. Visit the Conch Republic website for the full event schedule, and contact us to get your last minute plans in place!